OUR PRODUCTS ARE 100% GUARANTEED AUTHENTIC OR YOUR MONEY BACK. All of our lenses that we sell are sourced from reputable manufacturers in South Korea, where circle lenses originated. Our products carry either the manufacturer's own label or an OEM label. We do not sell fake lenses or source them from China where a lot of counterfeits are produced. First reason: your health and safety is our first priority, and customer satisfaction is important to us. Second reason: it would hurt our business reputation if we sold fake products; and, as a business, that is obviously something we care about. The brands that we sell are all compliant with health and safety regulations. All of the manufacturers have received various international health certifications as well. We welcome you to check by visiting their respective websites. Every time we receive a shipment of products, our staff conducts a random sampling of the goods to ensure that the quality is up to par. Also, we check for any defects at least three times before shipping them out to you: firstly, when we receive the shipment of goods, secondly, when we gather the items to package your orders, a final time before sealing the individual parcels. As part of GEO Medical's anti-fake campaign, authenticity stickers are provided to vendors of authentic GEO products. I.Fairycon places these stickers on the side of the GEO contact lens vials. The seal can be scratched to reveal a 20-digit serial code which can be authenticated on GEO's Anti-Fake System: http://geo.fw1860.com/. This is the ONLY website for authenticating GEO serial numbers. Please note that each serial code can only be verified ONCE to maintain the integrity of the authenticity system. On the market, there are some fake products bearing similar stickers which tell you to verify the code on other websites. These are fake products and can possibly be injurious to your eyes. They probably have been produced from low quality, cheap materials and are not compliant with safety standards. I.Fairycon only provides the genuine GEO seals. For example, here is a picture of a counterfeit GEO product which tells you to verify the code on www.colourgeocheck.cn. Keep your eyes open for possibly harmful products posing as real GEO lenses. Please ensure that all your I.Fairy Lens comes with this Authenticity Sticker to avoid purchasing fake lenses in the market. No manufacturing process is ever perfect, and this applies to colored contacts. If you feel that a lens isn't working the way it should, we will gladly replace the item free of charge or offer store credit. How do you define "defective"? 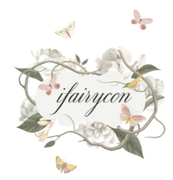 Please kindly email ifairycon@gmail.com to help troubleshoot and diagnose your problem. Subjective things like comfort differ according to each individual. Wearing cosmetic lenses takes some getting used to it, especially if you have never worn contacts before. We kindly urge you to be patient and work with our customer care. We are available to answer any and all questions that you may have. Any claims of lenses being physically damaged (e.g. ripped, texture/coloration irregularities) must provide photographic evidence of the lenses still in original unopened packaging. This means you must take the pictures of the lenses through the bottoms of the clear glass vials. Claims of the lenses arriving "ripped" supplemented with photos of the lenses out of opened packaging will not be considered.